It was a very last minute decision. 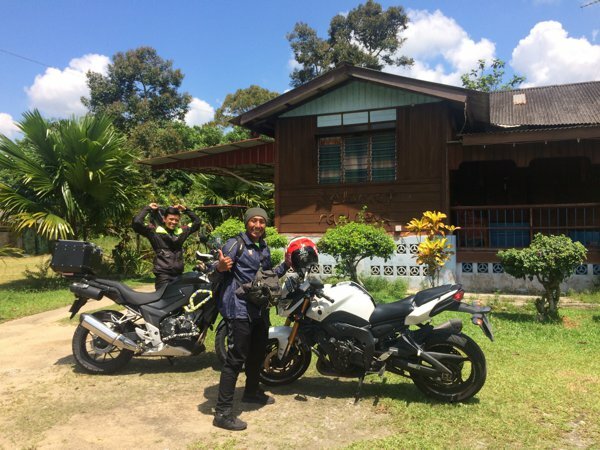 Yup – it was on the morning itself that I decided to Join Sufi and Hafidz in their morning ride to Kota Tinggi and Kampung Panti – Hafidz’s hometown in Malaysia. The plan was to meet at B-Point at 0730h, and move off at 0800h. Yup! Told you that it was a LAST MINUTE decision. VERY last minute indeed! 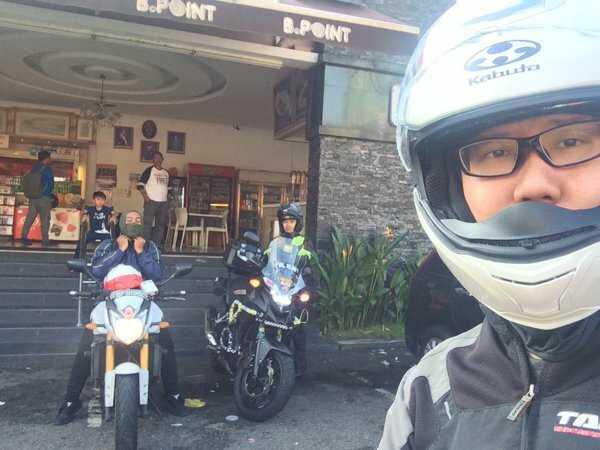 Leaving B-Point and getting ready to move off towards Kota Tinggi. 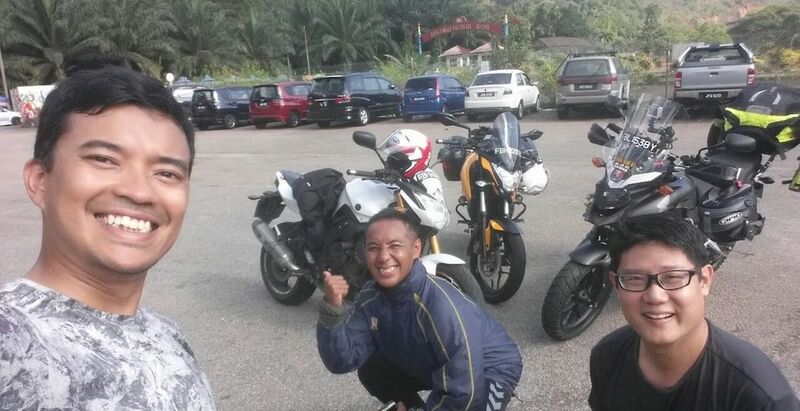 It was a short and easy morning ride, and before long we reached Kota Tinggi waterfall resort. And since it was a public holiday, the place was filled with holiday-makers! As usual, we didn’t pay to get inside the waterfalls area. 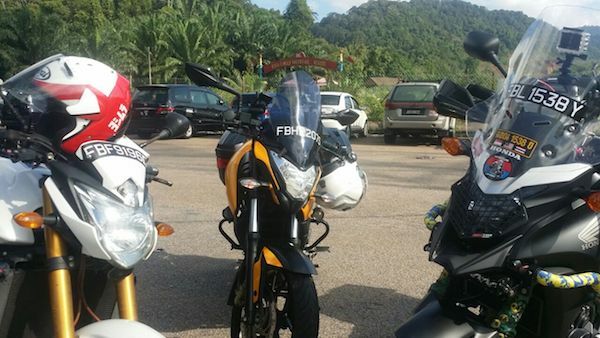 The 3 bikes posing in front of the Kota Tinggi Waterfall Resort signage. We hung around for a while before heading to Kota Tinggi town centre for some refreshing ice kachang. 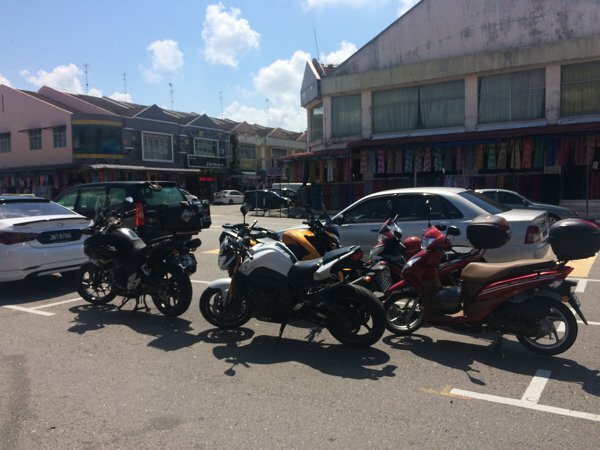 …and very soon, other bikes joined in and turned the stretch into a motorcycle parking area. LOL! 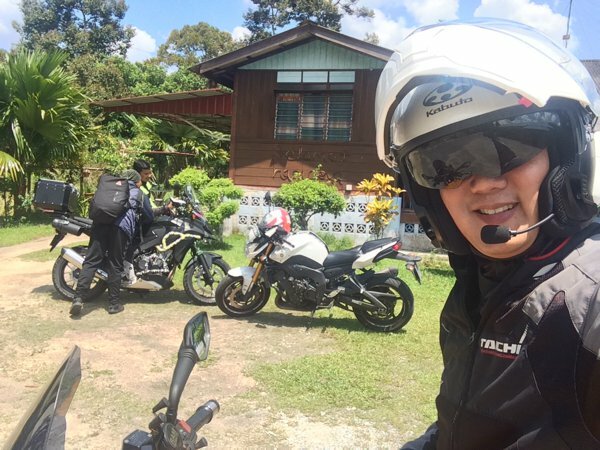 After cooling down with some ice kachang, we rode to Kampung Panti. Yeah! We arrived at Kampung Panti! 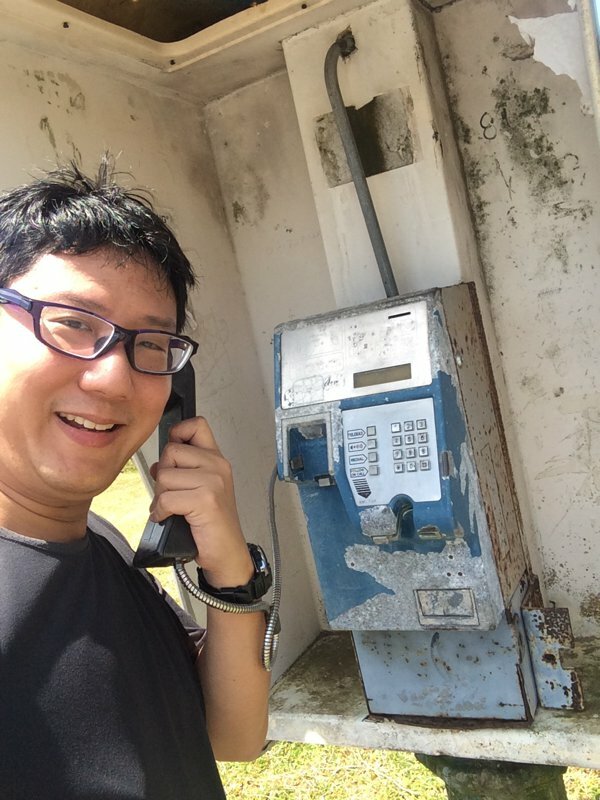 Hafidz is really happy to be back in his hometown! 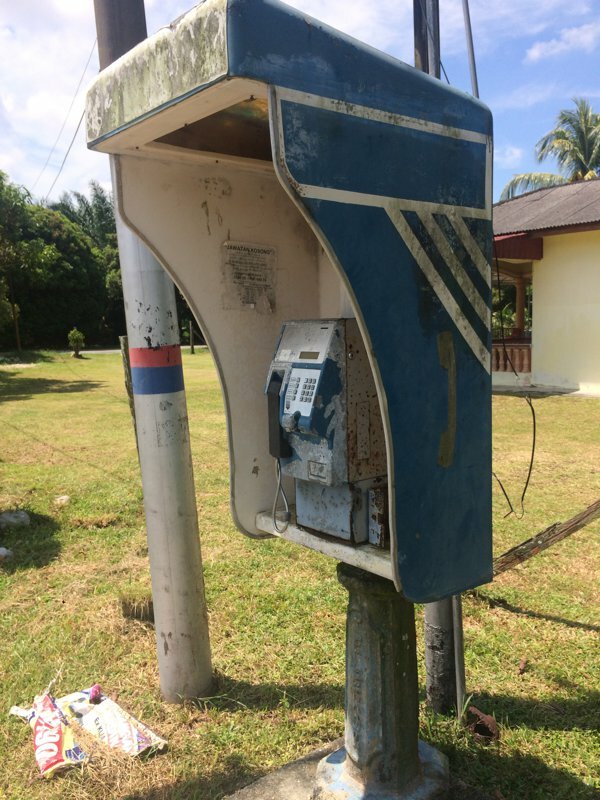 I spotted this really retro-looking phone booth! 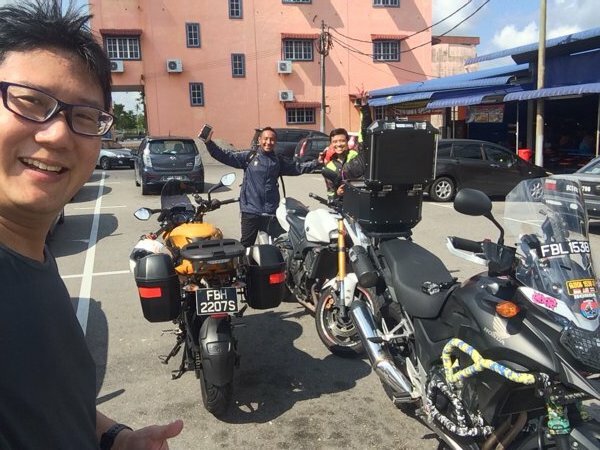 After Hafidz soaked in his hometown, we headed back to Johor Bahru for lunch before riding back to Singapore. Long weekends and public holidays are always good excuses reasons to ride!